: Hi Samuel, can you tell us how you got started training at the MMA ITO DOJO? Samuel: My father showed me that Submission Arts Wrestling is based on Judo, Jujitsu and Sambo and that there was a Sensei in Brisbane who taught it at his Dojo in Brendale. At the time I was preparing to compete in the Australian Judo National Championships in 2017 and was looking for that something that was missing in my own martial arts ability. After the National Championships, my father and I decided that we don't mind Judo, but we much prefer Submission Arts Wrestling and MMA Training as a whole. : How's your training going now, and what do you enjoy the most about your training? S: I think my training is going well. I like the fitness side of the training as much as I like learning new techniques and actually achieving progression. I really enjoy my time at the dojo, all the other club members are cool and even though I am only a kid, they all still help me to train. : What are your goals? S: I would like to be a better competitor and would like to become a Black Belt when I'm older. : That is a good goal Sam, you will have to work hard and focus your effort. : Any messages to people who are interested in training here? S: Because of the Martial Arts training that I receive, my school work has improved. My sporting ability has improved, and my personal confidence has improved. : Very good to hear that!! Thanks Sam. : Hi Michael, can you tell us how you got started training at the MMA ITO DOJO? Michael: At the time I was looking to give my son some supplementary training prior to him competing in the Australian Judo National Championships in 2017. After much research, I came across the MMA ITO DOJO and after learning what Submission Arts Wrestling was I determined that this was the missing element in my son's grappling ability. ​After the 2018 Australian National Judo Championships (Sam earned the bronze medal in his weight division), Samuel & I decided that whilst we don't mind judo, we just found it mostly impractical in today's environment and have given up the sport in favour of Submission Arts Wrestling and Mixed Martial Arts Training. M: I think my training is going well. I like the fitness side of the training as much as I like learning new techniques and actually achieving progression. I really enjoy my time at the dojo, all the other club members are really welcoming, level-headed people and none seem to mind that all three of my children train here now as well. : They are all good!! I like watching all the kid’s training. They are all trying hard to get better!! What are your goals Michael? M: I would like to attain a Black Belt ranking in SAW and more importantly, I want to keep being an active participant in my children's Martial Arts journey for as long as I can. : Good goals Michael. Martial Arts training is a life time journey. Stay focused and keep training hard. M: I know, at times it's really hard trying to keep up with everyone considering the truckload of injuries that I picked up during my military service. I just do my best to adapt and overcome without aggravating any of my pre-existing injuries and try to be a good training partner within my physical limitations. M: Do it, Submission Arts Wrestling has so much to offer to the individual, whether its fitness, self-defence or for those interested in a Martial Arts Career. Sensei Toshiyuki Ito is one of the most knowledgeable and approachable instructors that I have come across and I have studied under a few. : Hi Austin, can you tell us how you got started training at the MMA ITO DOJO? Austin: OK, I first started at MMA ITO DOJO just over a year ago now. I wanted to do some form of physical training to benefit for my work as a physical labourer and being someone who has problems with mental health it is very uplifting. Once I started I was hooked! A: Training is going very well thank you. I push myself to my limits and take in the vast knowledge from Sensei and my seniors every lesson. Every session I learn something new. Whether it be a small alteration in a technique to make it more effective, to a whole new technique to help with sparing. I am constantly learning. What I enjoy the most about training is the constant up and down journey. Injuries, work and personal life are often mountains in my path but the strength and patience training has taught me to overcome and push through help me stay focused to continue 100%. With each grading it feels like I’m starting from the beginning again. Learning a whole new group of techniques to add to my grappling arsenal. I love it! A: My goals are to continue training hard and progress through my grading. I would like to participate in grappling competition after sparring more and focusing my mind towards a competitive side of it. : Any messages to people who are interested in starting training here? A: My message to people would be to LIVE to the best of your ability. There are obviously the physical benefits, but the martial arts mentality is just as important. Training isn’t just learning to punch and kick or to be tough - It is the control of the mind to overcome pressures of life such as depression, anxiety, diet etc. I honestly feel this is the best “me” I can be and I owe it to attending training at ITO DOJO. : Thanks Austin for your nice words. : Hi Keam, can you tell us how you got started training at the MMA ITO DOJO? Keam: I started training with Sensei Toshi towards the end of 2012 when I was looking to change sports. It just so happened that Sensei Toshi was running a gym at Sandgate that I could walk to and after the first lesson I was hooked. His energy and passion for what he was teaching was far beyond anyone I have ever meet, that energy rubbed off onto everyone that entered the dojo including myself. Since then I have never looked back and have carried that energy and passion into every class. K: My training is going very well. I like the personal challenge Sensei Toshi issues to me every class, it gives me a very focused approach to my training, all I have to beat is myself. I really enjoy the environment at dojo, all the people are great and very easy to get along with, they are always open to helping you and help push you along to get the best results. K: I would like to reach the last belt of the S.A.W belt system. : That’s good goal Keam. You have to train hard and be patient. K: Yes, I’m ready for that. K: Simple message, what doesn’t challenge you, doesn’t change you so come down and challenge yourself. : Hi Jonty, can you tell us how you got started training at the MMA ITO DOJO? Jonty: I first found MMA ITO DOJO when I was looking for MMA on the north side. I tried a few different places before I started at the dojo, although none of them appealed to me, usually because the instructors lack of knowledge and experience or just poor discipline. Sensei Toshi was patient and very knowledgeable and very welcoming of newcomers. J: When I started at the Dojo I was around 105kgs, coming from a bodybuilding/power lifting background. I was far to heavy for my frame. Since I started training here, I have lost 21kgs and am still losing weight. What I enjoy the most is the constant learning. It feels like I'm learning something new every week and constantly growing as a mixed martial artist. : Sounds like you’ve been doing very well Jonty. What are your goals? J: My goal at the moment is get down to my desired weight of 77kgs and at some point in future going into my first MMA fight. MMA or just to defend themselves, MMA ITO DOJO is the perfect place. : Hi Masa, can you tell us how you got started training at the MMA ITO DOJO? Masa: I wanted to have a new challenge, and to maximise my potential, but I didn’t want to learn just sports fighting. I was looking for a good teacher who could teach me not only how to fight but also teach me the philosophical side of martial arts, and give me good spiritual guidance. I was very happy to find the best teacher, Sensei Toshi. ​M: I’m taking one on one lessons with Sensei. This way, I can learn and understand more. I always find something good in every session. Sometimes I forget new techniques, but when I do attain those techniques through persistent training, I am able to apply them and react naturally without thinking. I enjoy how Sensei explains the techniques, what I learn helps me in my everyday life. And I really feel that I am improving. M: Umm, I never thought about my goals, but probably, to keep training, learning, and improving all through my life. : Any messages to people who are interested in starting training? M: It is never too late or too early to start something new. Everyone needs something that is just for themselves. So, let’s challenge together!! : Thanks Masa for your nice words. M: ARIGATOU GOZAIMASU ( Thank you very much ). 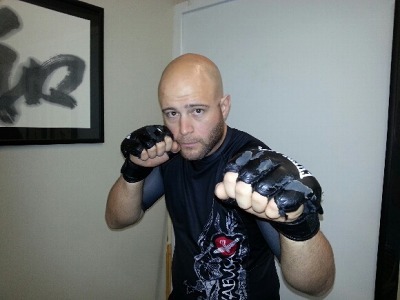 : Hi Matt, Can you tell us how you got started training at the MMA ITO DOJO? Matt: I was searching for a MMA gym, and this dojo stood out to me compared to others. I was looking for a new challenge and to get fit and healthy. : How's your training going now? M: Training is going very well. Initially I was wanting to get fit and didn't realise how much I would enjoy it. I love the team I train with and the feeling of getting ready for a competition. I enjoy learning and applying submission techniques. As well as learning striking combinations and trying to use them in sparring. : Very good to hear that. What are your goals? M: My main goal is to fight MMA in a cage. Other goals have been to compete in grappling tournaments which I have and enjoyed very much. It adds more to your skills, going against a stranger in competition, I also want to go to SAW HQ in Japan and train and compete. I also strive to remain in training for as long as I can and to not give up. To always improve. : Great goals Matt. Any messages to people who are interested in starting training? M: It is a great honour to train with Sensei Toshi with his vast knowledge of techniques and experience. I recommend ITO DOJO to anyone interested in fighting or just getting fit. : Hi John, Can you tell us how you got started training at the MMA ITO DOJO? John: Sure, I first met Sensei 10 or so years ago at a personal trainer’s gym. I had been involved in Martial Arts for many years prior to meeting Sensei Toshi and it was an opportunity to engage and learn from a master of his art whom encompassed modesty and sincerity. I chose to train with Sensei in a one on one situation rather than in a dojo environment mainly because of my age, also over the years I found quite often many who achieve skills and knowledge develop big egos which over shadows their abilities. The person that retains the modesty and humbleness is a far better person in my estimation. So studying as an individual became more important to me now. : Is there anything you have learnt from Sensei other than learning Martial Art Skills? J: I believe anyone can be taught skills at varying levels but the person who retains their modesty and humbleness is a far greater person. I think this is because he or she is happy with themselves and doesn’t need to prove anything to others. This person has captured the true essence of gaining skill and power. Sensei Toshi is highly skilled in several disciplines of fighting without doubt, but his expertise and value to those around him transcends with ethics, good character and a willingness to share. This was important learning from Sensei. : How old are you John and what is it you enjoy most now training with Sensei Toshi? J: I am 63 and Sensei Toshi has rekindled a flame inside of me. This gives me a great joy to know there is so much more to learn about the Martial Arts than the skills and contact. I had always been interested in the “Internal”. Sensei is showing me a teaching which embraces a clarity and calmness in handling situations and life in general by learning to develop a very controlled mental state. From this mental state, your moves appear seamless and appropriate, no matter the obstacles you face. You learn to deal with things with calm and composure. As a senior person I feel privileged to have him as a friend and I know that I can learn so much from him. : What would you say to people who are interested in starting training here? J: I would tell them that one of the greatest benefits of training with Sensei Toshi is learning to recognize and control the tension and stresses that work against us not only in combat, but also in our daily lives. Toshi is one of the most talented, humble and generous martial artists I have ever met, and I’m fortunate to have found such a great Sensei to train with. Only did I say to Sensei recently that I wish I could train every day of the week with him. I would encourage anyone looking for a new and honest approach to martial arts to take time to visit Sensei Toshi. J: No worries, may you continue on your journey through life in good health. : Hi Shane, Can you tell us how you got started training at the MMA ITO DOJO? Shane: OK. I was training at a gym where Sensei Toshi used to work as a personal trainer. This is how I met Sensei Toshi. I used to ask him about different nutrition and training methods to better my training. After some time I found out he was a very respected teacher in Mixed Martial Arts. I decided to come and check out the dojo and then started training. And have been training with Sensei ever since. S: My training now has changed. 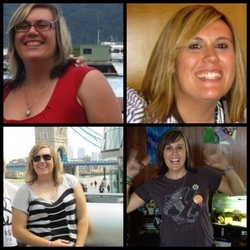 I have lost nearly 20kg In weight and I'm much fitter and stronger. My flexibility has improved. All my training including out of the dojo is to better myself in Mixed Martal Arts. My knowledge and understanding is much better. And has given me some goals. All these improvements are through Sensei Toshi's guidance. S: Competition is a goal. I want to be able to see if I'm competitive enough in my learnings regardless of my age. As I am approaching 50 years of age, I want to be fit strong and healthy in my older years. And be a good role model for my children. : Very good goals Shane. Any messages to people who are interested in starting training? S: Well my message is this. No matter what your age, It's never too late for people to change their life style. Mixed Martial Arts is a life style and a very good one. This has enabled me to improve in many ways. Things like my mental and physical abilities. My confidence, the way I deal with stress, or difficult situations. And of course physically I'm much better. All this I take into all areas of my life. So get started and come and join us at MMA Ito dojo!! ​MMA ITO DOJO “ A couple of minutes chatting with the members. " : Hi Stella and Antony, Can you tell us how you got started training at the MMA ITO DOJO? Stella: Yes, In 2008 I was not doing to well with my health. Extremely overweight, I was living off fast food, alcohol and cigarettes, not a healthy lifestyle. In 2010 I joined Jetts gym but wasn't seeing any results for my hard work so I decided to try using a personal trainer, and that was Toshi. When he opened his Dojo I continued training with him, and now my fiancé Antony and I do regular PT sessions together at the Dojo. : How’s your training going now? S & A: We really enjoy it. Even if we are having a stressful week with work or other factors, we try to go at least once a week to have a joint PT session with Toshi so we can clear our minds, train hard, get fit and feel good. S: To become a fit, healthy, happy & strong person both physically & mentally. I am getting married next year so I hope to get fit & lose 10kg. I also have a back injury so I hope by losing this weight I might be able to one day do more physically challenging exercise. A: My goal is to get fit & lose some weight too. S & A: Toshi has tailored a special work out routine for us to help lose weight, improve core body strength and become fit and healthy. With Toshi's expertise of MMA fighting we have been able to learn proper boxing manoeuvres as well as self-defense techniques in a one to one training environment. He has also given us advice on healthy eating and correct breathing methods for meditation. If you want to get fit, lose weight and learn proper self defense techniques, get in contact with Toshi and you to will see results! S & A: Thank you. : Hi Gareth and Nichola, Can you tell us how you got started training at the MMA ITO DOJO? 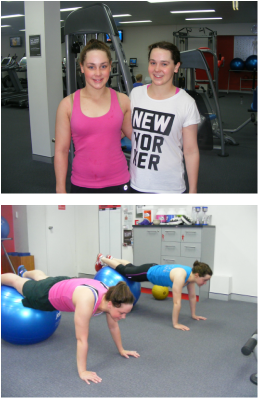 G: We first started doing personal training to get fit with Sensei Toshi at Jetts gym. Every PT session, he would include some martial arts techniques, and we really enjoyed that. As we got fitter, we wanted to start learning more of the martial arts techniques, so we started going to the dojo as well. : How was it when you started coming to classes here? G: I had always wanted to do some Martial Arts but couldn’t find a good club. A lot of clubs are either doing techniques that are not practical or people have big egos and are bashing each other, but when we came here, people are friendly and helpful, Sensei Toshi’s techniques are practical and make sense, so we were very happy. N: Yes, for me as a women, I didn’t feel confident enough to join a Martial Arts club, but here everyone was welcoming and very helpful and encouraging each other!! : Very good to hear that. How are you guys training now? G: My work is a little bit busy at the moment, so I can’t make any classes during the week, but I keep coming for one on one training with Sensei Toshi every weekend, and I can see myself improving and getting results. N: I’m getting fitter and getting better technique. When I get stressed from work and I come here to train, I always feel good afterwards. Even if I miss classes during the week because of work, I can still come here on weekends with Gareth to have one on one training to catch up. G: People may think MMA is very rough and painful to do, but here, we learn step by step and safely. Sensei Toshi provides a good learning system for beginners to be good martial artists and fighters, so come and give it a try!! : Hi Brad, Can you tell us how you got started training at the MMA ITO DOJO? B: I was looking to get fit and I always wanted to learn some martial arts. I wasn’t sure what I wanted to do but one day, Sensei Toshi opened up a dojo next door to my work and I inquired about it. He had some classes that I was interested in and I came down one afternoon and gave it a shot. : How was it when you tried it? And How’s your training going now? B: It was great!! This is what I’ve been looking for. SAW has given me a lot of confidence in myself and has made me a lot fitter. I am always constantly looking to improve my technique and getting fluid movements. B: One of my main goals at MMA ITO DOJO is to achieve black belt one day. : That’s a good goal Brad!! What would you say to people who are interested in starting training here? B: Come on down and give it a shot. Sensei Toshi and the people who train here are great and are always willing to help. There is a wide variety of classes so there is definitely something for everybody. : Hi Doug, Can you tell us how you got started training at the MMA ITO DOJO? D: Sure, I found the dojo whilst searching the internet for Submission Arts Wrestling, and I came across a number of Youtube clips from master Hidetaka Aso, and knew that this no nonsense/street application grappling was for me, then, I realised that Sensei Toshi was one of the original students from master Hidetaka Aso dojo in Japan, and his dojo was right here on Brisbane’s Northside!! : How’s your training going here, and what’s your goals? D: S,A,W has made me focus on keeping fit, staying strong, and being healthy. Every new member who was over weight including myself has lost weight training here. You get excellent tuition and all its members are committed to learning. The dojo has a number of members training for some up and coming grappling competitions, but for me I’m happy to go through the arts belt curriculum. and sparring the guys who are preparing for competitions. D: If you are keen to learn MMA technical striking/ kicking, Submission Arts Wrestling, Bootcamps, Self-defence and Knife defence, you will find no better tuition than here. ​I‘ve started to train under Sensei Toshi in 2014, before that I was trained in competitive boxing since 99' and I also teach boxing as well. Sensei Toshi is a Master in self defence and MMA, I have found Sensei’s teachings to be very useful and his knowledge of body mechanics has really improved my skills especially with my boxing. I have learnt how to defend myself with what Sensei calls antenna arms, this technique has been very useful for my defense in boxing as I can connect every movement to my core. My skills has improved so much from Sensei’s teaching and it now takes me half the energy to defend myself, would’ve been good to have learnt those skills years ago when I was still fighting in boxing. Sensei’s has a calm and humble nature I found that I could get a lot out of my training as it was easy to absorb from his teachings. When I first heard of Toshi, I was helping train fighters for the “SPARTAN” series of MMA tournaments. My instructor had trained under Kerry Dunn(Shindo MMA gym) for a short while, and Toshi was Kerry’s instructor, so this meant there was an immediate respect for Toshi and his obvious wealth of knowledge of Martial Arts and fight training. I went on training for another 10 years or so in a variety of styles like Karate, Jiujutsu, Muay Thai, and Judo. It was at this time I was lucky enough to meet a long time student of Toshi’s and was lucky enough to begin training with him. What I was immediately struck by was Toshi’s friendly and welcoming manner, and his amazing understanding for detailed body position, foot work and power development. Although I had nearly two decades of continuous training by various instructors, I became aware of being in the presance of a master Martial Arts instructor. Toshi has an ability to break techniques down to bring out maximum efficiency in movement, power, evasion and deception!! Toshi has a calm and positive attitude while training and I feel extremely lucky to be able to share in his life long experience. What strikes me is that all the instruction I had from previous instructors lacked this deep understanding of human movement and body position that Toshi teaches from the beginners all the way to advanced students. For these reasons “I wish I would have found Toshi years ago to get the basics right from the start of my training life." The strange thing is that some of his students who are starting with Toshi and have no previous experience in Martial Arts can not compare his awesome techniques, so may not fully comprehend how lucky they are to have found such a skilled and positive instructor. When I first met Toshi I immediately noticed two things. First was his easy going attitude and willingness to help, the second was his in-depth knowledge and experience in MMA. I’ve been training with Toshi for two years now. Before this I had a background in traditional jujitsu, karate and kickboxing. It wasn’t long before I realised I’d developed a lot of bad habits from the various styles. Training with Toshi I have more confidence in myself and I feel I’m a much more rounded fighter. His style of MMA is practical and it makes sense! You don’t have a stand up coach and a ground coach you have one coach teaching it all with proper transitions and techniques. Toshi is also a PT trainer so his lessons are well structured, resulting in a great workout whilst focusing on technique practice. I've been training under toshi for around 18 months now and in that time i have learnt a lot about mma and its techniques. I found that in just a few short sessions toshi was fixing some of the bad habits i had learnt from other training styles. His way of teaching allows you to understand what you are doing wrong and why you need to do it properly. I have trained in several styles of Martial Arts for over 20 years. My association with the Martial Arts was for improving my mental & physical coordination, personal health, self esteem and to be more focused as a person and in spirit. In 2008 I was introduced to Sensei Toshiyuki Ito; Instructor of MMA and I began private training with Sensei both in MMA and on a personal fitness level. It was to be the start of a very rewarding and life-changing process of martial arts for me personally. Sensei Toshiyuki expresses consideration for each of his students in a humble, polite, and considerate manner. Importantly as an instructor the inspiration, dedication, motivation and quality in martial arts training and spiritual well-being available is of the highest level. I have no reservations that those students who combine commitment with self-discipline and experience Sensei Toshiyuki’s level of the art, training, and traditionalism will meet any goals they set out to achieve. Along with Alex, my 9 year old son, we have trained under Sensei Toshi at MMA ITO DOJO for 8 months. With his perfect combination of diverse training methods, technique, individual attention and challenging yet achievable goals, it has instilled in both my son and myself, Pride, Confidence and Self Esteem. Sensei Toshi’s easy going and friendly personality for his clients have made learning MMA exciting and fun. The passion he shows for his clients promotes discipline in a positive environment. The results we have achieved from his professionalism and extensive knowledge of MMA has rewarded us mentally, emotionally and physically. "Since we have started training with Toshi, we have dramatically increased our strength, muscle definition and overall fitness. Our sessions include anything from weight training to boxing, and we love that Toshi places high importance on using proper technique, which means we train more efficiently and without the risk of injury. We would highly recommend Toshi's sessions to anyone who wants to take their fitness to another level and see real results. Thanks Toshi!" In February 2011 I was at the heaviest I had ever been at 132kg and a 44 inch waist line I was only 31 years old. With the birth of my second child I decided that I needed to do something about my health, so I joined my local Jetts gym. For several months I accessed the gym and did what I thought to be a good workout, however I did not see any results. Fed up I approached one of the gyms personal trainers Toshi Ito. Toshi has worked with me ever since, he has developed program's to accommodate my skills and limitation, helped with dietary suggestions and as a result of Toshi's ongoing motivation and support I have lost 34kg and 8 inches off my waist line and my GP says I am in peak physical condition, this has also improved my family life I can chase my kids without feeling fatigued or tired. Now 32 years old I am actively involved in baseball, exercise and have more confidence in my self. I would recommend Toshi to anyone who is looking to change their physical well being, It is my personal belief that my decision to be trained by Toshi has improved my present and future outlook on life.